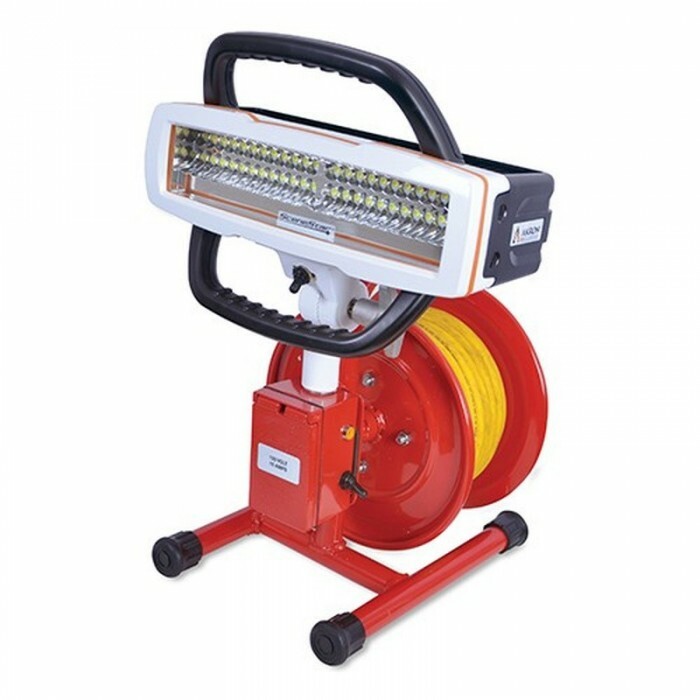 Akron Brass Cord Reel Lights are reverse -wired live cord reels, which allows a plug on the cord to be plugged into a power source while the Cord Reel Light is carried to the fire ground or work site. The Cord Reel Light allows the scene to be illuminated while providing a receptacle for additional tools or lights. Available in 2 sizes; 10", & 15"
ECRP-10-ELBE-500 LIVE 10” CORD REEL WITH GANG BOX AND BETA 500 LIGHT All Cord R..
LIVE 10” CORD REEL WITH GANG BOX AND BETA 750 LIGHT All Cord Reels Include Cord..